Commercial Docks are subjected to higher stresses and tighter tolerances, longer and more frequent work loads and constant overall use and abuse. 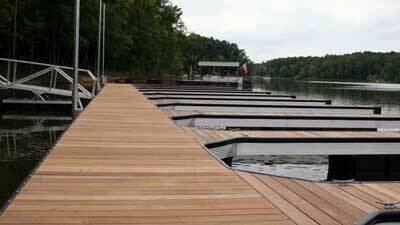 Alumadock has created a commercial dock system with those needs in mind and priced competitively. Let us show you some of our projects. 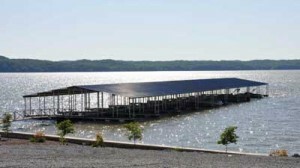 The layout and design of your commercial project is important to ensuring the durability and longevity of the commercial dock system, as well as maximizing the proficiency of the dock space and use. Normal configurations include E docks, with a long main aisle and slips on a single side only. Fishbone style adds fingers to both sides of the main aisle, while larger projects generally become a mixture of styles with prevalent custom elements. 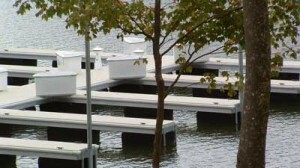 Commercial Alumadocks feature X9 components and construction elements, for ultimate dock strength and features. In addition to our normal X9 system, we add a substitute our normal cross brace channel for a much heavier tube and add a substantial amount of additional diagonal channel to form a continuous truss through the entire dock frame. This creates an extremely strong and rigid dock system against torsional and lateral forces, as well as extreme vertical forces.